1. Pure copper cutter seat, faster preheating and the blade can be heated to 500 degree in a few seconds. 2. The metal hook offers convenience and it can be hung to save space when not in use. 3. 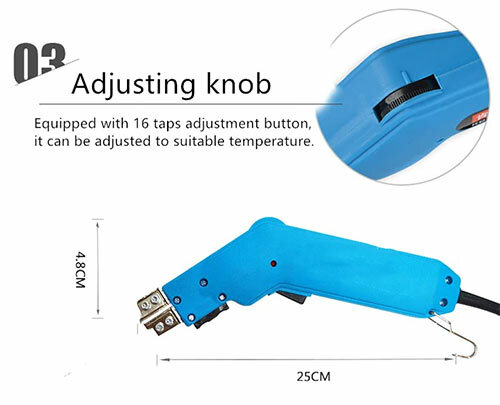 The adjusting knob can be adjusted to the suitable temperature. In credit cards and debit cards, RFID chips hold all of your most sensitive information such as card numbers, expiration dates, names, addresses, birthdays, and more. 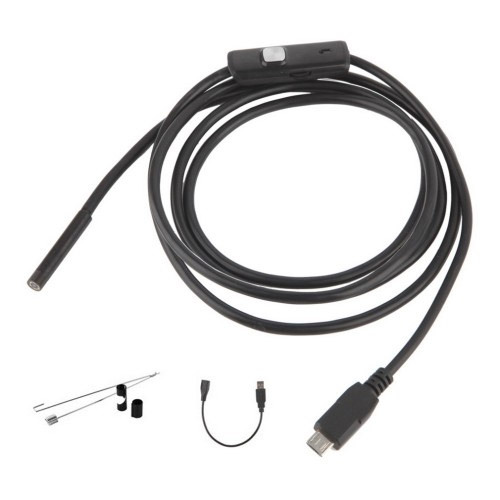 Thieves can purchase scanners online or build their own to steal information right through your wallet or purse. 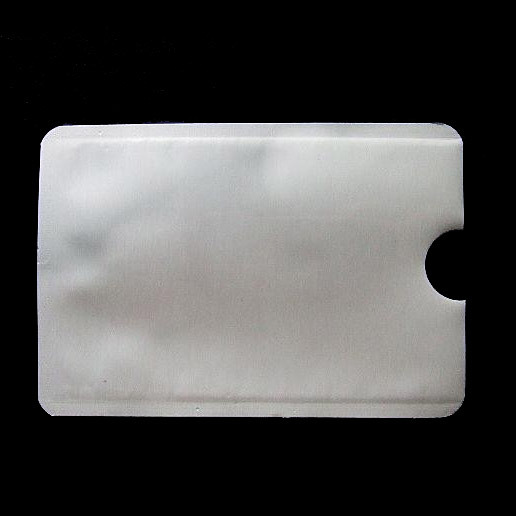 Protect your personal information from thieves and unauthorized transactions with these RFID-Blocking Credit Card Sleeves. 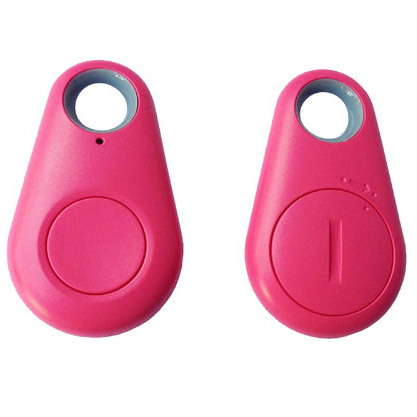 Enjoy peace of mind knowing your information is safe with this unique product that fits most credit cards and identification. Makes a very thoughtful gift to family and friends. For IOS system search in app store for "itracing"
TDS Stands for Total Dissolved Solids and is a General Measure of Water Quality. 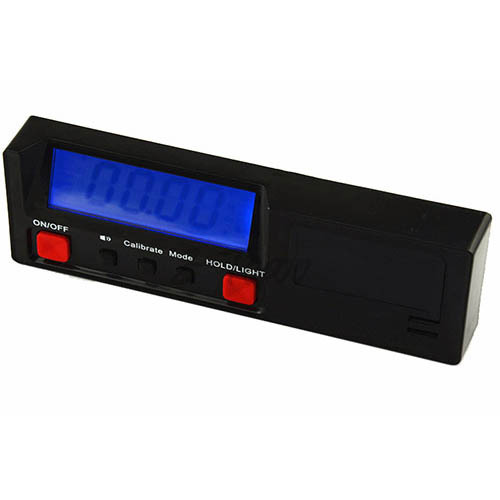 Easy to Read large Digital Display and an Auto-off Function to Conserve battery power. It is Used as an Indication of Aesthetic Characteristics of Drinking Water and as an Aggregate Indicator of the Presence of a Broad array of Chemical Ingredients. Simply Pour a Glass of Water, turn on the TDS meter and place it into the glass and the Reading will Appear. 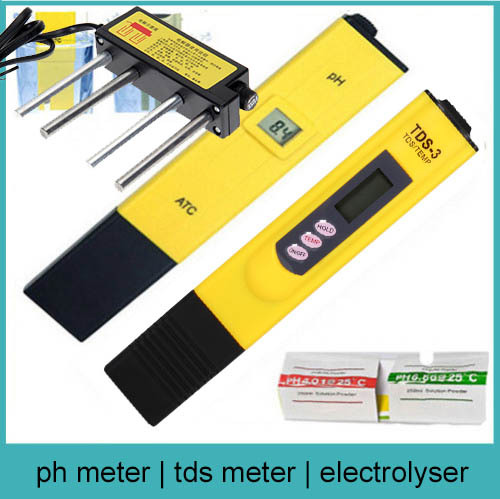 The TDS Meter is ideal for keeping Track of the Effectiveness of your Water filter and knowing when to Replace the Filters. Temp. Range: 0 - 80 degrees Celsius. Auto-off Function: Turns off Meter After 10 Minutes of Non-use to Conserve Batteries. The Meter also includes Digital Thermometer and the Hold Function Stores Readings Outside of the Water. This Item can be Used in: Water Purifiers and Filters, Food (Vegetable, Fruits) & Drink Quality Monitoring, Pools and Spas, Aquariums, Hydroponics. 3. Turn on PH meter by "ON-OFF"switch located on the top of battery case. 6. After use, Switch off PH, Use the distilled water to clean the electrode and replace the protective cap. Prepare two transparent cups of water (100 to 150 ml ) one cup holds tap water, the other cup holds RO water. Place electrodes into water before powering ON and begin the test, After 30 to 60 seconds, turn it off and remove the water electrolyzer. Caution: Avoid electric shock while using the devise; Do not touch the rods or put your finger into water once the precipitator is plugged into an electric outlet. Do not use metal containers to hold the water. Blue: Bacteria, viruses, carcinogens, chemical fertilizers, pesticides, etc. The tool plant owners, gardeners cannot live without! 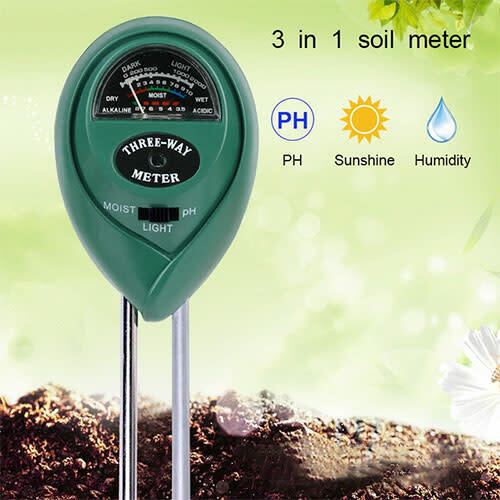 3 IN 1 moisture light & PH meter Soil analyzer meter. Take the guess work out of your daily garden watering light and moisture. 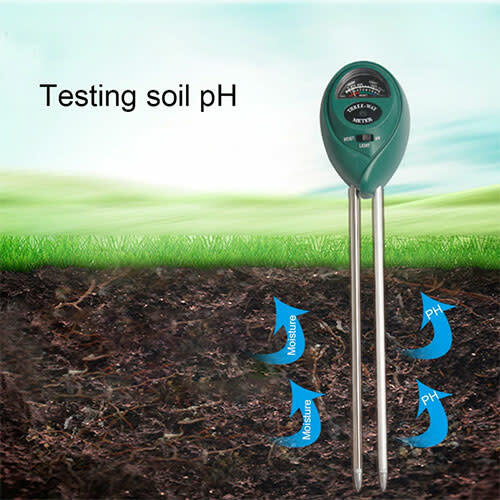 This water quality tester is designed to test pH and chlorine level for swimming pools and spas. It is easy to operate, no more chemicals need. 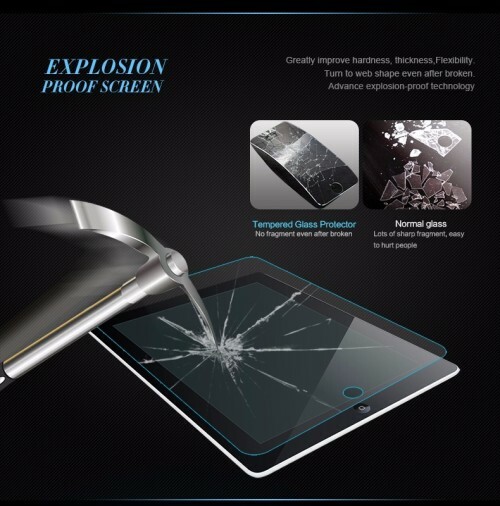 Large screen quickly shows the test result with high precision. Light weight and compact, easy to carry. Size: approx. 18 x 11.6 x 3.1cm / 7.1" x 4.6" x 1.2"
1. 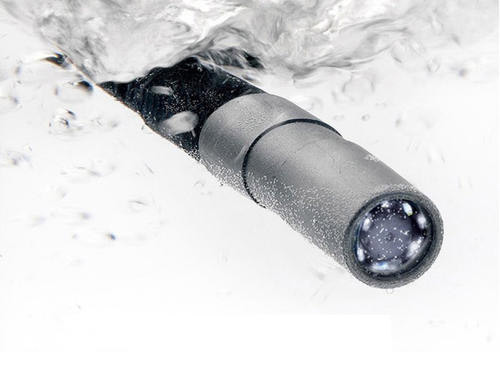 Please don't immerse the probe in any liquid other than pool or spa water. 2. Please rotate the switch to close position when not in use. 3. Please store the tester in cool and dry place. 2. Record the chlorine reading level as you will need. 3. No adjustment is required for pH. 1. 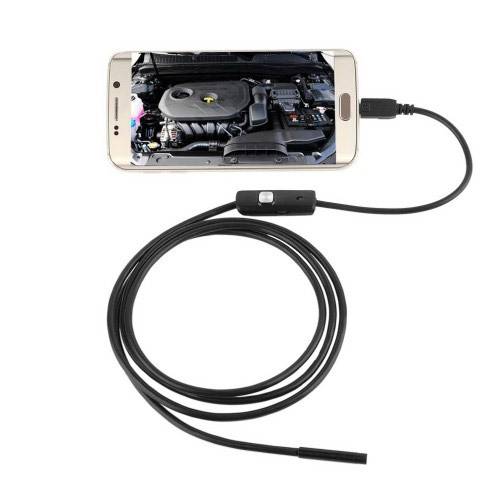 Insert 1pc AA 1.5V battery in the compartment in the handle. 2. Hold the tester in one hand and the probe in the other. 3. Insert the cleaned metal probes into the water up to the black band. 4. Stir the water slightly with the probe. 6. Remove probes from the water without touching the wheel. Indicator will move all the way to the right and stop on a letter between A and E. This letter is your "adjustment point". Note: Any time you use this tester to test the chlorine level, you must adjust it to the "adjustment point" before testing. 1. Position the needle to your "adjustment point". 2. Holding the tester in one hand and the probes in the other, insert the probes into the water up to the black band. Wait until the needle rests for a better chlorine reading. 3. Leave the probes in the water. 1. With the probes still in the water, turn the wheel all the way to "pH" until it clicks(battery must off for pH reading). 2. Wait until the needle rests on the pH reading. 3. Gently dry probes and insert into the holder on the side of the tester for storage. This compact ultra-light tool can help you measure wind speed whether you're flying RC planes, drones, wings or helicopters to check weather conditions to see if it’s safe to fly; sailing or windsurfing. 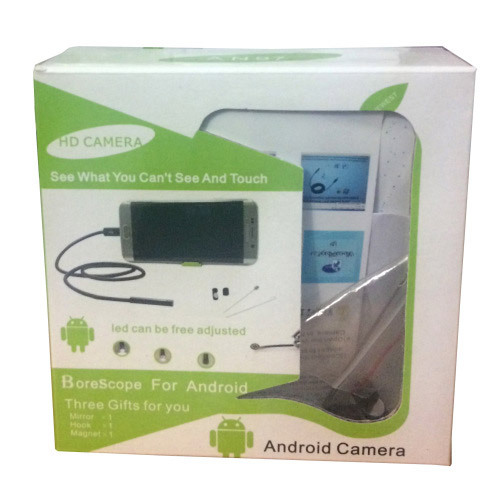 For weather enthusiasts and hobbyists to monitor, wind, temperature, humidity, etc. Repair personnel wanting a scientific way to measure airflow in an air conditioning, heating or ventilation unit. In rural areas that don’t have reliable or accurate weather data that want to set up their own personal weather station. Scientists who measure environmental conditions. Hunters, sports shooters/target shooters and archers wanting a quick way to check ground conditions or wind direction and speed. Kite flyers or paragliders, sky divers who want to check conditions especially altitude, before launching. Safari guides who want to keep an eye on wind conditions and staying downwind of various exotic animals. Atmospheric Water generators wanting to check on relative humidity and temperature for extracting water from the air. Painters wanting to check humidity conditions before starting a job. 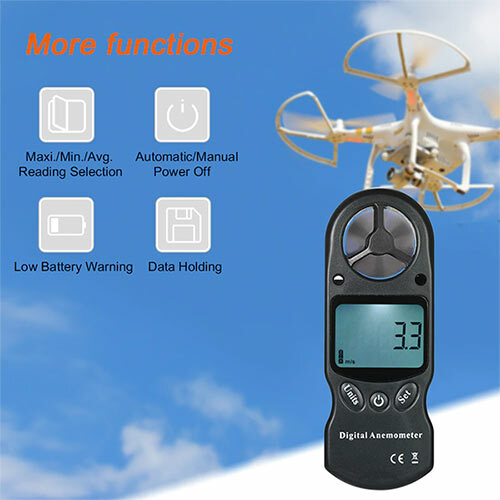 8 in 1 digital anemometer to measure air velocity, temperature, humidity, wind chill, heat index, dew point, barometric pressure and altitude. °C / °F selection, wind speed units selection: m/s, ft/min, knots, km/h, mph. LCD display with white backlight for clear reading. Maximum, minimum and average value measurement function(for all measurement modes). Low battery warning, automatic & manual power off function. Data holding function and calibration function. The beaufort scale will be always displayed according to current wind speed in all modes. Pocket-sized and ultra-light, comes with a storage case and a lanyard for convenient carry. AC 220V -240V/ 50Hz 10A 2200W. Works great with common packaging styrofoam, polystyrene, floral foam, and various craft foams.